A guide for parents who are looking for meat-free recipes to feed their children. There are over 50 dishes to suit all occasions and tastes in this collection of recipes. For healthy lunchtime snacks there are wholesome soups for the winter and a tasty Summer Pasta Salad or Chunky Cheese Salad for the summer. For busy parents with active children, simple sandwiches and classic pizza slices are always popular. For more substantial meals, there is a range of favourites to suit the vegetarian, including Vegetarian Lasagne or Bean Burgers, as well as more exotic ideas such as Wicked Tortilla Slices. There are also many recipes for desserts, which range from healthy fruit salads to richer bakes such as Carrot Cake or Blueberry Muffins. 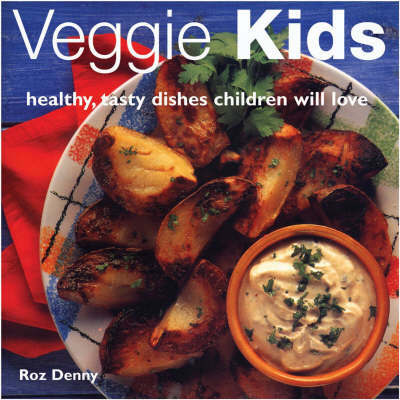 There is a detailed introduction and tips throughout, with specialist advice on feeding vegetarian children.